This 2,000 sq. ft. residence is situated adjacent to a marsh on Eastern Long Island. 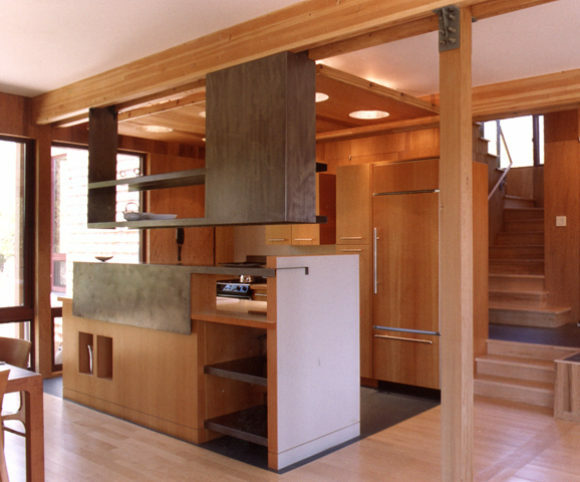 The house is divided into two parts: a glass-enclosed living/dining volume with roof deck, and a two-story bedroom and circulation volume. 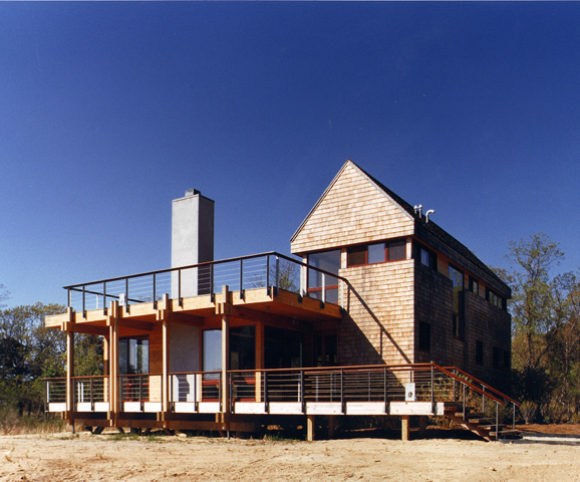 Both are raised above the ground on pilings, which are expressed in the structural system throughout the house. 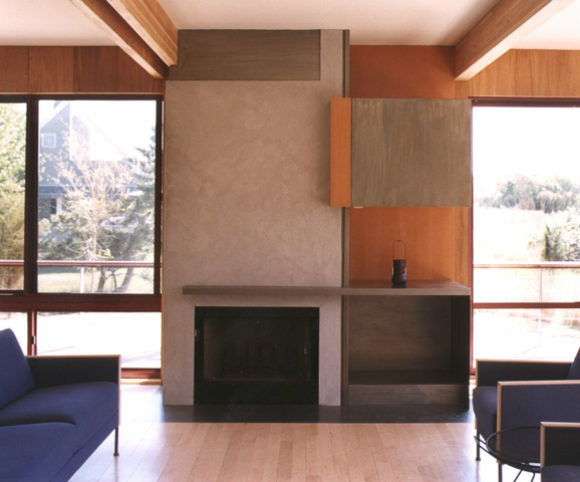 The house utilizes natural, rustic materials in both the interior and exterior. The project received an AIA Design Award.